Search For "Agriculture" Companies in Goodyear, Arizona - Click Here Now! 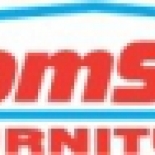 The RoomStore Of Phoenix, Arizona Is Arizona's Number 1 Volume Furniture Store. We Carry Famous Name Brands Like Broyhill, Sealy, Lane, Natuzzi Editions And More At Unbeatable Low Prices! The RoomStore in Goodyear is a company that specializes in Lawn & Garden Services. Our records show it was established in Arizona.